Online real estate websites like Zillow, Realtor.com, and Trulia, are known for their accessibility, ease of use and quite simply, bringing home shopping into the 21st century. 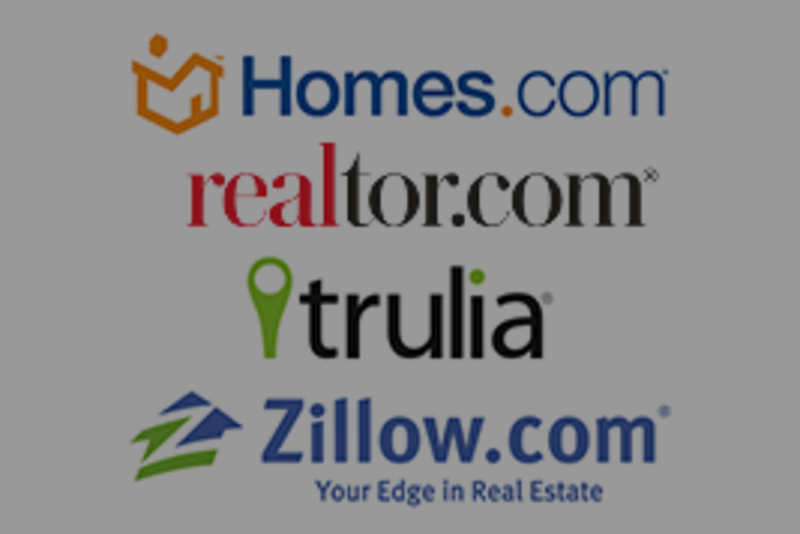 Many buyers and sellers start their search by going to these websites to gain some insight into the value of their home and the price of listings in desired areas. While this may seem like a preliminary start to your home search, use these sites with caution. Often times you are given inaccurate, or false, information while your data is shopped around. In truth, Zillow, Realtor, and Trulia were designed as lead generators for realtors and organizations. When you fill out a contact form, your data is classified as a lead and becomes profitable data. The leads are then purchased by realtors, their brokerage, or a third party that can monetize your data two-fold. Many of the listings shown on these databases are not directly related to the realtor or even brokerage that is representing the listing. And when you inquire about these listings, your information is sold to multiple different agents, without you actually receiving any valuable information about the property you’re interested in. As well, buyers should be aware that homes that are listed “For Sale” are not necessarily on the market, or the pages might have inaccurate information. These databases are updated by the IDX, or Internet Data Exchange, which some agents choose not to use when they’ve listed, sold or withdrawn a property, so these databases can be going off of old, outdated information. The IDX gives companies the data it needs to display it on multiple databases. As well, when evaluating your home, looking on Zillow, Realtor or Trulia can give you false appraisals. These estimates are produced by algorithms that are, again, going off of outdated information which is not substantiated by a physical appraisal. These appraisals are very basic estimates that are often off by more than $14,000. The algorithms don’t take several factors into account, such as the status of the market, interest rates, and since no two homes are the same, updated finishes and fixtures. Yes, an algorithm that’s based on what has sold in the area, square footage and number of bedrooms can give you a ballpark figure, but it cannot determine a property’s true worth. The most reputable source for current listings, home valuation, and comparable market analysis is your agent. They have access to the MLS, Multiple Listing Service, which is the main tool that all realtors use when researching a listing. Any information inputted into the MLS is monitored and fact-checked. The MLS also draws public record information to fully round out the history of the property and give you the edge during your home search. Only real estate agents who have a NAR License, National Association of Realtors, can access the MLS. They have to follow a strict code of conduct and code of ethics. All in All, Zillow, Realtor.com and other commercial real estate databases are accessible but by no means accurate. You can start your search on these websites to get a feel for the type of home or area you want to live in, but don’t go beyond that if you are a serious buyer or seller because it will only pollute your research. Contact a local realtor who can cut through all the misconceptions and educate you on the market, value your home correctly and help you maneuver through one of the biggest purchases of your life. We don’t pressure you into signing a contract, push our services or sell your data. No matter what stage you are in your home search, we are your wealth of information to ensure you get the most of our investment.